Crash Pad - Available as a download or stream? Film editor Kevin Tent has become known as one of the go-to guys for top directors in the industry. But after a decades-long career in the industry, he has wrapped production on the first feature film he directed on his own. 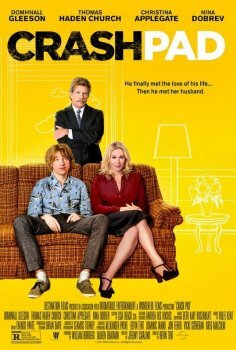 The comedy film "Crash Pad" will be in theaters on October 27th, 2017, starring Domhnall Gleeson, Christina Applegate, Thomas Haden Church, and Nina Dobrev.